Apparently, “sloth” is one of the seven deadly sins. But we have ask you, HOW CAN SOMETHING SO ADORABLE BE BAD? The way they eat, the way they move, their little smiling, alien-like faces--sloths are so cute we want to cry just looking at them. Oh, hah. Wow. Well, don’t we feel silly. Well, even if this type of “sloth” isn’t sinful, you have to admit that this Kids Sloth Costume is pretty much flawless. It will encase your kiddo in a warm slothy hug that they can radiate out from the treetops (or at least from their second story bedroom). 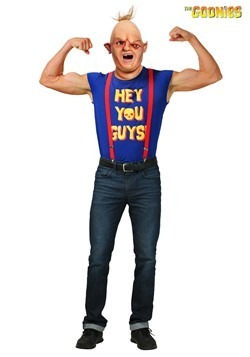 Another benefit of this ensemble is that, while they wear it, your kiddo can’t make any sudden movements. Yep, you heard us right; no running in the house, no chasing the cat, no wrestling with their sister, no doing that *adorable* bit where they sneak up on you when you’re in the kitchen chopping onions and they scare you so much you almost slice open your hand. Nope, sloths wouldn’t do any of that. So, yeah, you can thank us later. So while you child is dressed as this cuddly sloth, they can go to a fun animal themed party, laze around the house eating fruits and veggies all day (you’re welcome again! ), or bring themselves to show and tell. 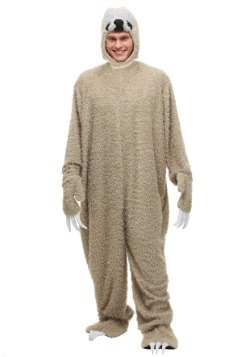 The furry jumpsuit comes with accompanying mitts and slippers, and the hood has a soft-sculpted sloth face on top. 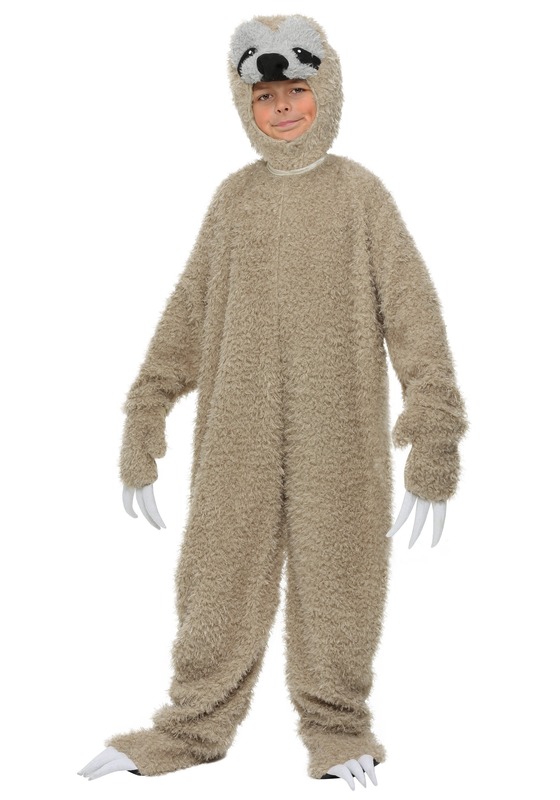 The mitts even have three stuffed claws, so you can use this costume as an educational tool, too, and have your child write their science report about three-toed sloths. So, to recap: slow, careful motions; fruits and veggies; science. Yep, there’s nothing sinful about that winning combo.